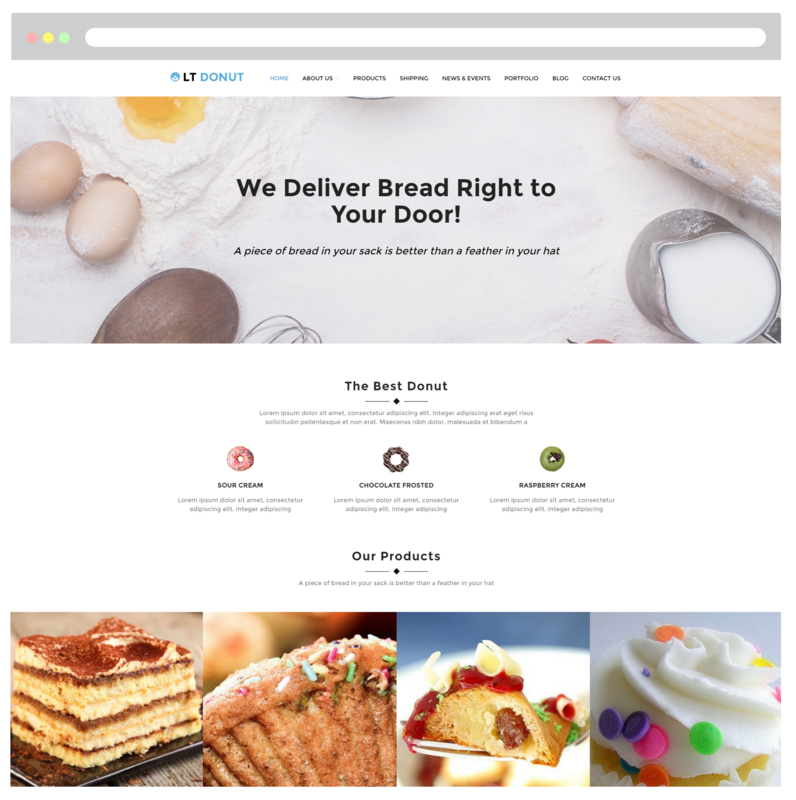 Let’s promotes your bakery store fantastic images with photos of colorful donuts to attract more and more customers with One Page Cake WordPress theme! 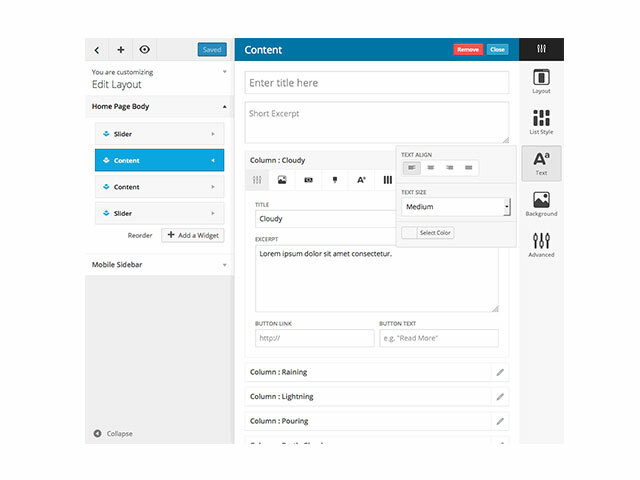 LT Donut Onepage is a free single page version of LT Donut WordPress Theme (multi-page). This theme prepares for you with fantastic images of colourful doughnuts to equip your bakery an amazing look, then draw customers’ attention to your confectionery. In addition, you can introduce your most popular products, promotions and delivery options. Give your customers a chance to browse and order their favourite products online. 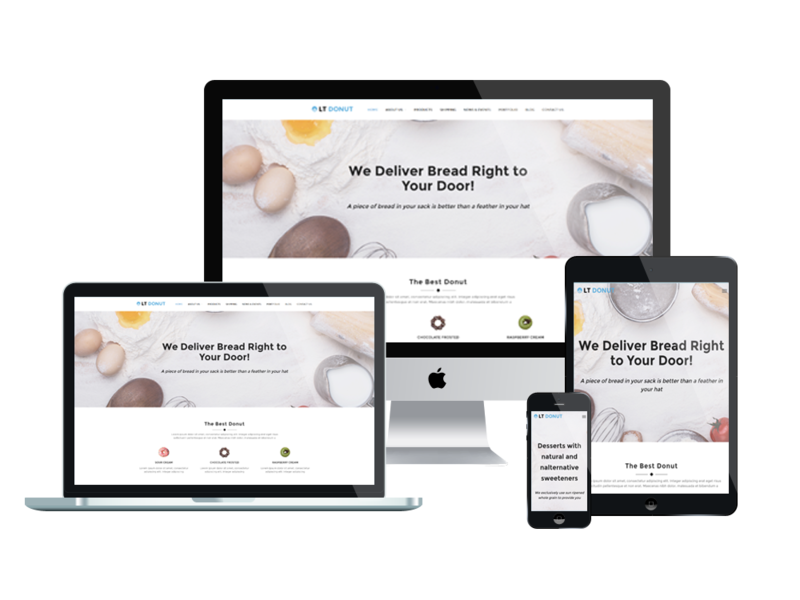 LT Donut makes your sites display perfectly on all mobile devices with 100% responsive layout. Besides, services like Bootstrap CSS, Hybrid framework and drag-drop layout content are also supported to bring you the best experience when developing your websites. This delicious theme is worth-trying!